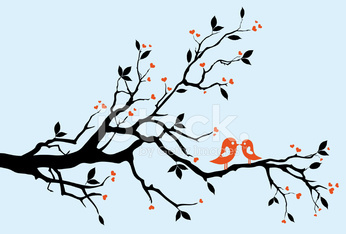 decorative Cover with Hearts and kissing Birds. Valentines card. Two kissing origami birds with shadow. Valentines Background. Two kissing origami birds with shadow.